The metropolitan area of Paris is like an island between the rivers Seine, Marne, Oise and Beuvronne. However, the name does not derive from the insular position, but from the Old Frankish name “Liddle Franke”, which means something like “Little France”. The Île-de-France was the nucleus of today's France, as evidenced by magnificent castles, churches and gardens. The French language of today goes back to a dialect in this region. Today it is by far the most densely populated region in France. 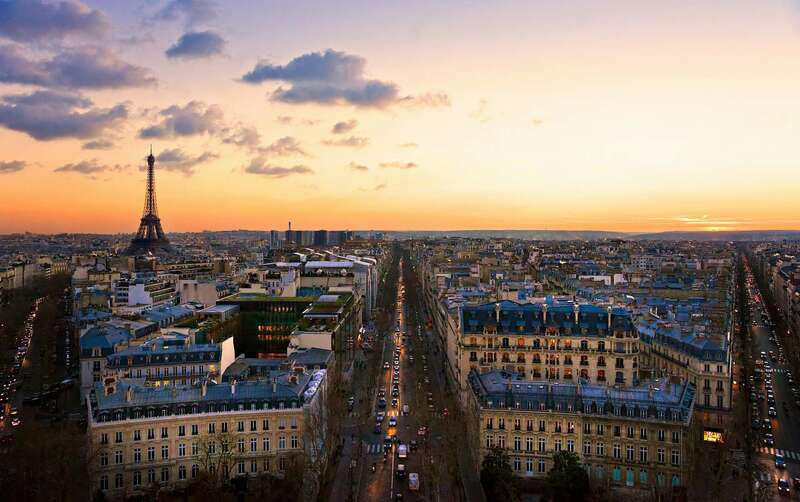 Nearly 20 percent of all French residents live in the “Paris agglomeration”. This upscale town is located in the Valley of the Nonette in the sprawling Chantilly Forest. 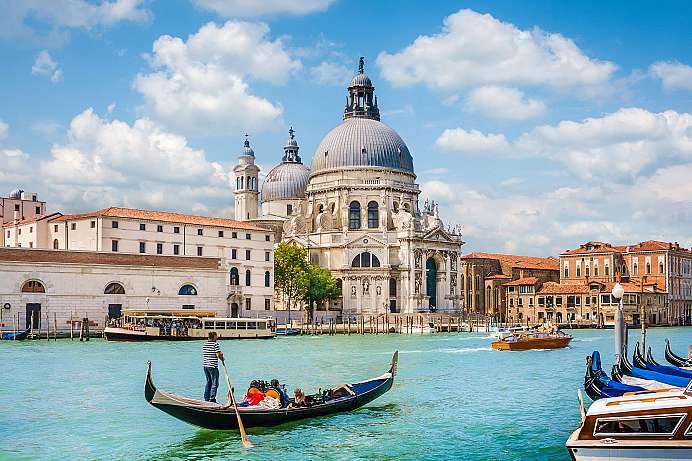 The Baroque palace, which took on its current appearance between 1670 and 1688, is world-famous. This is also when the gardens were constructed. They feature giant pools, vast lawns and sight lines extending all the way to the horizon. An English landscape garden was later added surrounding an idealized farmyard, making it an 18th-century Disneyland. Today, the palace houses a major art collection in the Musée Condé. 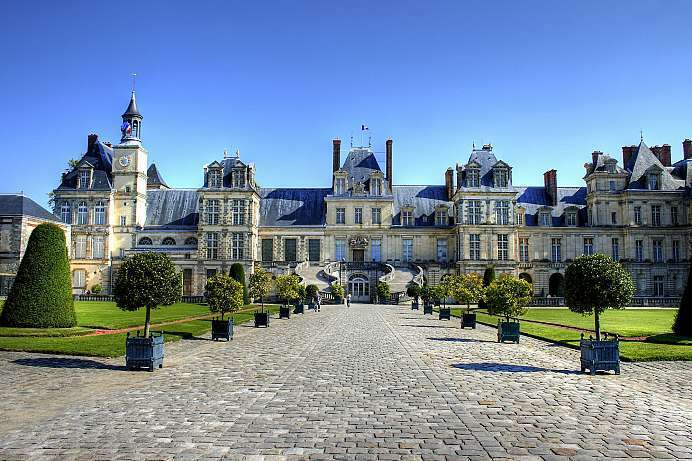 Fontainebleau is renowned for the large and scenic forest of Fontainebleau, a favourite weekend getaway for Parisians, as well as for the historical château de Fontainebleau, which once belonged to the kings of France and is one of the largest castles in France. The Fontainebleau style combined allegorical paintings in moulded plasterwork where the framing was treated as if it were leather or paper, slashed and rolled into scrolls and combined with arabesques and grotesques. Fontainebleau ideals of female beauty are Mannerist: a small neat head on a long neck, exaggeratedly long torso and limbs, small high breasts-almost a return to Late Gothic beauties. The new works at Fontainebleau were recorded in refined and detailed engravings that circulated among connoisseurs and artists. 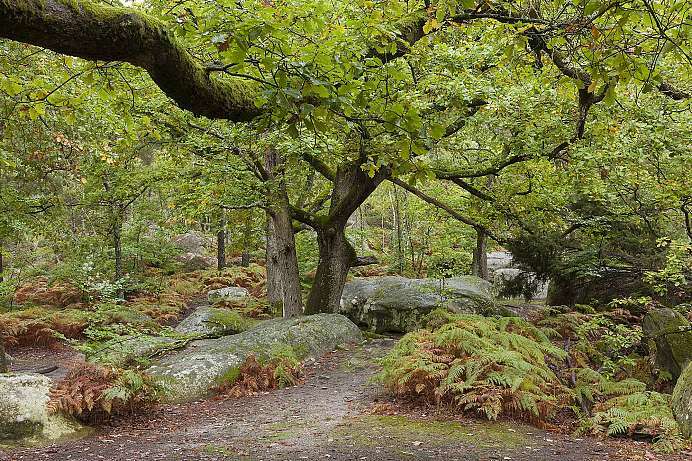 The Forêt de Fontainebleau is one of the largest contiguous forest areas of Western Europe. 3,000 fungi and 7,000 animal species – most of them insects – thrive in the more than 25,000 hectares of oak forest. During the 19th century, artists of the French romanticism discovered the refuge. They were particularly fascinated by rutting deer and the bizarre sandstone rocks, which are now mainly used by climbers. Although the forest is almost entirely man-made, it has all the charm of an unspoilt natural landscape. This classical Baroque palace is not much older than Versailles and was the most magnificent palace in Europe after its construction from 1656 to 1661. Three villages had to be moved to make room for the huge building complex. The palace did not belong to the king, but rather Nicolas Fouquet, his superintendent of finances. 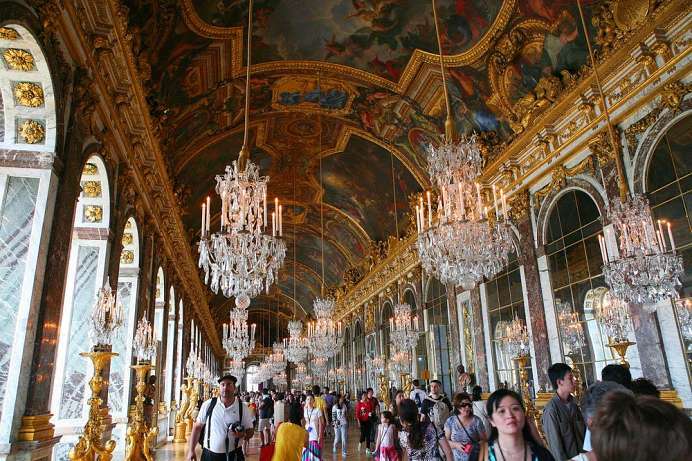 He made the mistake of inviting Louis XIV to his extravagant celebration at the building's completion. Louis himself owned nothing of comparable splendor. 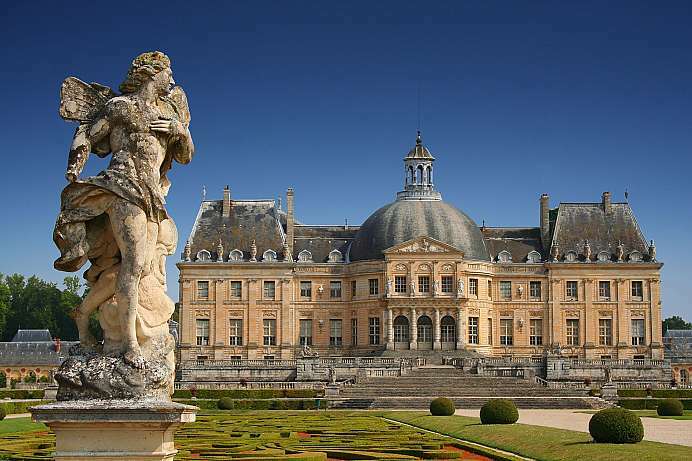 Fouquet was arrested three weeks after the party for embezzling state funds, meaning that the proud palace owner had little time to enjoy his luxurious estate. He spent the last 19 years of his life in considerably less comfort – in prison. 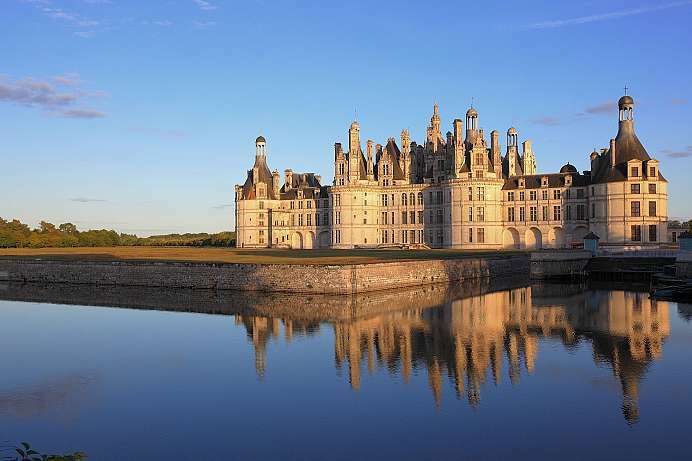 The castle in the southwest of Paris is one of the largest palaces in the world and was the main residence of the kings of France from the mid-17th century until the outbreak of the French Revolution. The Baroque building, which is more than half a kilometer in size, is considered a highlight of European palace architecture and served as a model for countless castles in Europe. Originally a hunting lodge for King Louis XIII. it was built in 1661. 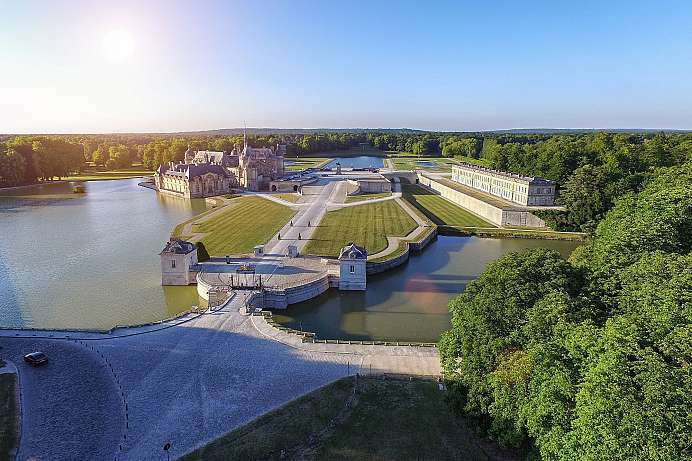 The complex was rebuilt under Louis XIV in several phases and always enlarged. When it served as a residence, the palace was inhabited by several thousand people. Since the 19th century, the castle has been used as a museum. With its extensive gardens, it is open to visitors today. While the central building with its 17th and 18th century state halls can be seen in their original form, the large side wings are home to the 19th century Museum of French History.